A beefy 6.75 ounce shirt, the Carhartt K87 is a customer favorite. 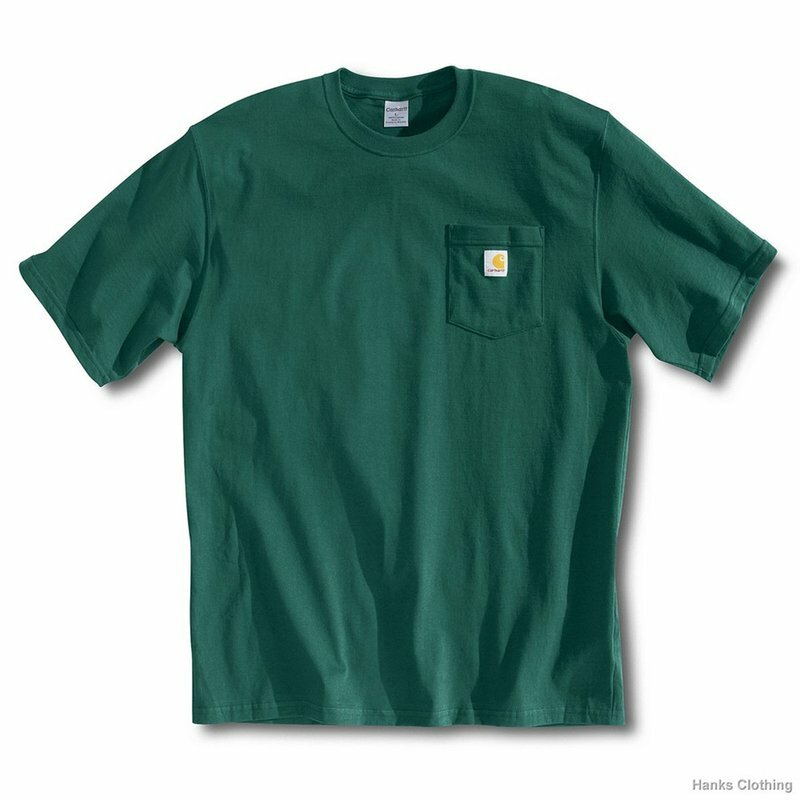 Whether you are working on the construction site and need a good rugged t-shirt with a pocket to keep your carpenter pencil in or you are out on the lake for a day of kayaking and fishing and need a pocket tshirt so you have a place to hang your sun glasses, the Carhartt K87 T-Shirt is for you. Preshrunk cotton means these shirts last wash after wash without shrinking. Extra long tails, they'll stay tucked in!